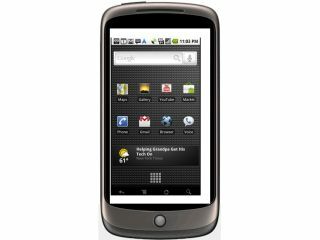 Google has admitted that there are some coverage problems with the Nexus One handset in the US. The problems relate to 3G coverage - something a few users have been complaining about, citing low signal in supposedly covered areas. However, Google's findings are two-fold, and they seem to apportion a little bit of blame to both parties - it's apparently poor T-Mobile 3G coverage in the US, and a slight issue with the software on board the Nexus One. To that end, Google is going to issue an upgrade and is already testing out a fix to issue, which means that when the Nexus One lands in the UK it should be fully up to speed. Vodafone's 3G coverage is also likely to be more robust, meaning that the problems that plagued from Nexus One users in the US shouldn't apply to UK dwellers. Google said in an official reply: "Our engineers have uncovered specific cases for which a software fix should improve connectivity to 3G for some users. "We are testing this fix now, initial results are positive, and if everything progresses as planned, we will provide an over-the-air software update to your phone in the next week or so. It may be, however, that users are experiencing problems as a result of being on the edge or outside of 3G coverage, which a product fix cannot address."